Starting Fall Semester 2018, the college will offer an Associate of Applied Science in Hospitality Management with a Specialization in Event Planning and a 28-credit Career Studies Certificate in Event Planning. Coursework will focus on financial management and all aspects of logistics. Tidewater Community College’s newest associate degree and certificate programs cater to budding organizers who love to immerse themselves in the behind-the-scenes details of event planning. Starting Fall Semester 2018, the college will offer an Associate of Applied Science in Hospitality Management with a Specialization in Event Planning and a 28-credit Career Studies Certificate in Event Planning. All of the credits from the certificate can be applied to the associate degree. 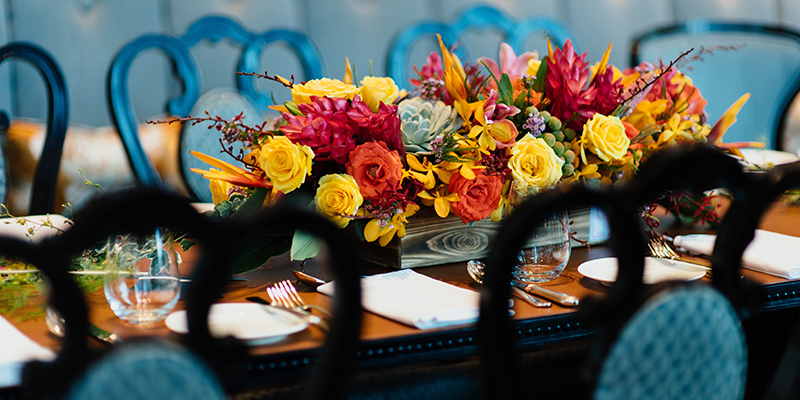 The new offerings come at a time when the U.S. Bureau of Labor Statistics predicts the need for event planners to grow by 15 percent in Virginia between 2014 and 2024. Coursework will focus on working with vendors and venues, financial management and all aspects of logistics. Students must complete a coordinated internship during their final semester. Day, evening and online classes will be offered, and financial aid is available. All core requirements must be completed on TCC’s Virginia Beach Campus. Students can get a head start on program requirements by registering for summer classes, which start May 21. Fall classes begin Aug. 20. TCC also offers separate associate degrees and career studies certificates in both hospitality management and food service management. For information about event planning, hospitality management or restaurant management, contact Kane at pkane@tcc.edu or 757-822-7173.